Do Restaurants Need Certifying to Serve Organic Food? Do Restaurants Need to be Certified to Serve Organic Food? If you want fresh organic food on your menu, do you have to be officially USDA certified organic? 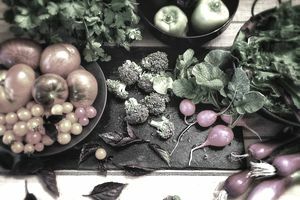 Under current National Organic Program (NOP) regulations, retail operations, which include restaurants, are generally considered excluded and do not have to be certified organic. According to NOP policy, "Establishments that process or prepare, on the premises of the establishment, raw and ready-to-eat food labeled organic are exempt from certification." A restaurant may choose to become voluntarily certified organic though. Just because you're not certified organic, doesn't mean your restaurant can't serve organic food. However, there are still rules that must be followed if you serve organic food. Your best source of information is one, your local organic certifying agent and/or two, current NOP regulations. That said, below are some general rules that a restaurant serving organic food should follow. Restaurants are responsible for verifying and maintaining the organic integrity of any products used on the premise. Restaurants must ensure that the company or grower they buy from is in good standing with NOP regulations. Individuals who purchase goods for restaurants should check with the certifying agents of the operations they buy from to verify good standing. Or you can check the USDA list of suspended/revoked operations at the USDA Organic Program website. Restaurants must prevent commingling and contamination of organic products with prohibited substances. Restaurants must keep accurate records regarding products marketed and sold as organic. Restaurants need to comply with product composition requirements and labeling requirements under current NOP regulations. Restaurants who purchase organic food from small-scale organic producers who are exempt from certification requirements cannot identify the food as "certified organic." You can identify the food as "organic" on the menu though, even if your restaurant is not certified organic.